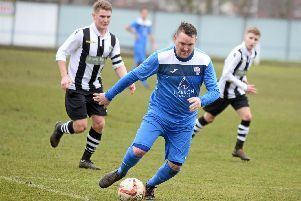 Rossington Main boss Ryan Hindley promised changes following his side’s ‘embarrassing’ defeat to Grimsby Borough and he quickly delivered with a trio of signings. Main have captured Grimsby Town youngster Declan Slater, former Rotherham United striker Alec Denton and centre half Tim Whittaker from Parkgate. 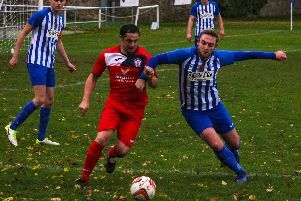 And Hindley has also received the full backing of Rossington chairman Carl Stokes to get the club climbing Division One. “The arrival of Ryan Hindley at Rossington Main has given me an increased boost to my love of the club,” Stokes said. “He is a breath of fresh air and equals the same drive and passion I have as chairman and we have as committee members and volunteers. “Ryan is almost as outspoken as I am myself so he is not afraid to get the job done to the best of his abilities and expect high standards throughout the club. “The new signings are a credit to the quality of players Ryan can bring to main. “We all know it will take time for the squad to gel and that's what they will get. The strong reaction from manager and chairman came after the 3-0 defeat to Grimsby Borough. “I’ve never been so embarrassed by that first half performance," Hindley said afterwards. “That's not acceptable for this great football club. I can’t condone that performance in the first half. “I can’t take that first half performance. Second half they did alright as they didn’t concede. We’re not in trouble but we’re not far away. “We’re in a dogfight and we need to get better and need to get players in that’s better than what we’ve got. A first half hat trick from Daniel Trott handed Borough the three points.